Mohammed Leon Kasule during a hearing at Buganda road court. 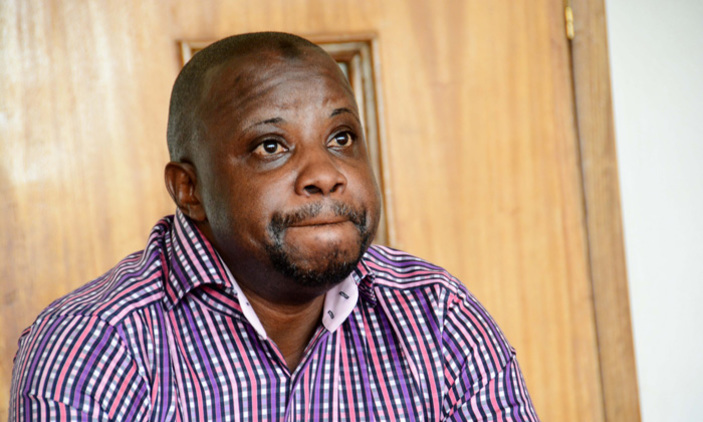 KAMPALA – Mohammed Leon Kasule, a conman has been sentenced to two years in jail by the Buganda road court chief magistrate, Miriam Ayo Okello over illegally obtaining of money from US national. The prosecution said that Kasule defrauded US national Richard Richards of $160,000 (close to sh593,600,000) to ship 25kgs of gold but never delivered. Okello said that the accused received the money by false pretense. “There is no proof that the 25kgs of gold was delivered. No gold was shipped on the airline. The prosecution has demonstrated that the accused received the money but had no intentions of giving the complainant the gold, the intent to defraud was proved,” Ayo Okello stated. However, Kasule pleaded guilty and asked the court for a lenient punishment. “I ask this court to give me a lenient punishment because I am a breadwinner,” Kasule pleaded as he showed the judicial officer his children and family members present in court. Having listened to his plea the Chief Magistrate sentenced Kasule to two years imprisonment and was also asked to pay back the money he received from the US national.